We traded lower yesterday from the 2100 level Tuesday after our holiday weekend and was able to break into the 2080’s in the afternoon with some pops back to the 2095 area. 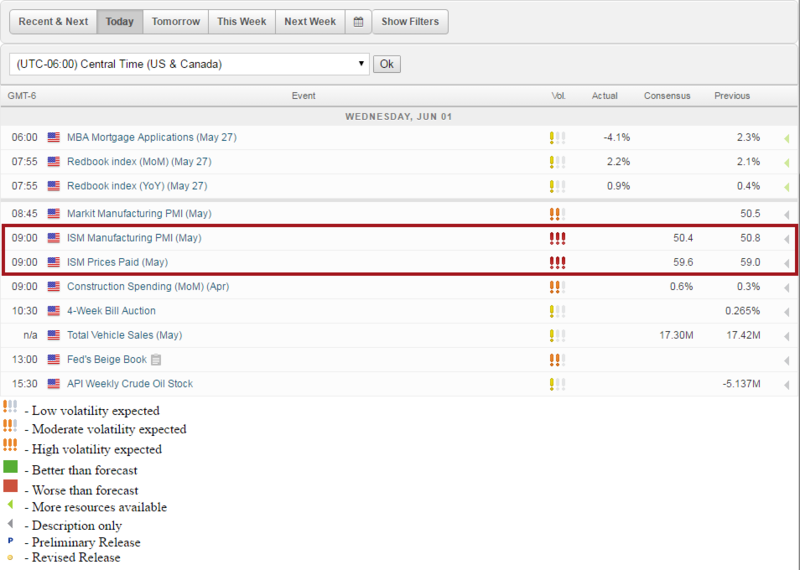 In the overnight we traded just under the 2100 area and have moved lower since and being fueled by soft economic data yesterday and during our overnight session (OECD PMI). We saw weakness in the crude market late in the day yesterday and follow through during the overnight with us trading down from the $50.00 level to now under $48.00. This has a lot to do with the upcoming OPEC meeting. Looking at Market Action Scanner, we are seeing the 2 shorter term time frames are red bearish with the weekly/daily levels still holding green bullish. 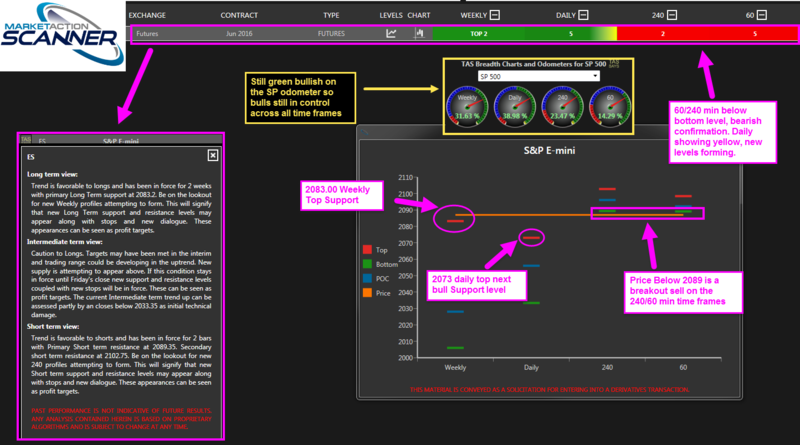 The SP odometer is still green bullish across all time frames but could change after the open. I would look for buying this dip or support on the weekly top or the daily top, depending on your risk per trade level. 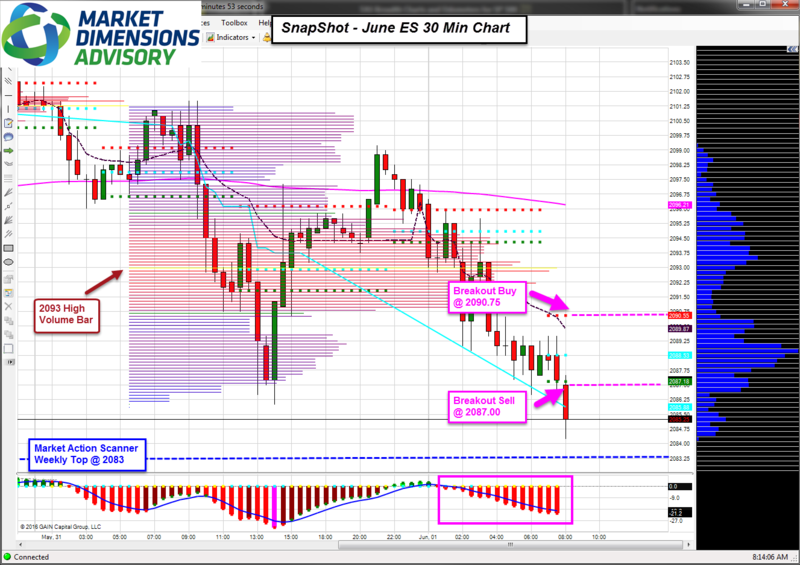 Looking at the 30 Min SnapShot, we are below both levels formed in the overnight, with a more recent level forming not too long ago. On this short term time frame lean on these levels or wait until new levels to form. With TAS navigator in the red Bears are in control on this chart, so selling is the first thought. Buying is countertrend, so know you could be against the momentum given this time frame. If we do get a move higher to start the session you may want to consider selling the Top Red Zone and risking new highs. If you are a longer term bull, consider buying the weekly MAS Top or the Daily Top outlined in the Market Action Scanner. Those are short term bear targets too. Remember these tools work on all time frames and all markets. I suggest contacting me to demo the products or discuss the markets you trade.